As part of their surveillance they use Star SAFIRE II infrared sensing device manufactured by FLIR Systems of Portland, Oregon. 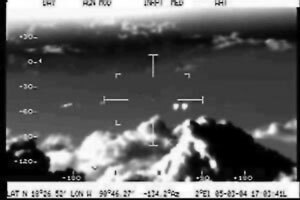 To their surprise, what they could only see on the radar was several unidentified flying objects, up to eleven moving objects were spotted at an elevation of 11,500 feet (3,500 meters). The importance of the story is that it involved the Mexican Air Force using a C-26 Merlin aircraft. 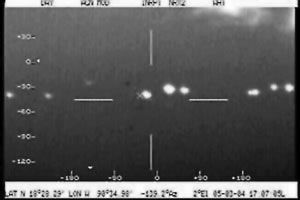 The aircraft was equipped with conventional and sophisticated ‘forward looking’ radar to detect and track illegal aircraft when it encountered a series of Ufo objects in the sky over the State of Campeche, Mexico. Although the Air Force crew of 8 and the mission coordination with the air traffic control tower were unable to make visual contact with the objects, the two radar systems on their plane, both reliable and operative, never stopped recording the details of the very large objects through detection of luminosity. In short, the objects remained invisible to the naked eye, but not so to the radars. Despite the pictures released to the world media of what appeared to be small luminous objects flying in and out of clouds over Mexico, the flight commander of the mission estimated the size of the largest object being that of a 15 story building. The Mexican Secretary of Defense and the Mexican government have made no public claims regarding this incident. They have only acknowledged that they were the source of this factual material on national television. Two months later both the Air Force Commander and the respective Air Force regional director were transferred to lower ranking posts.